The 2016 IMSA WeatherTech SportsCar Championship Winter test is over, and the clearest analysis of the data seems to indicate a high probability that the 2016 Twelve Hours of Sebring will be an excellent race. Only 36 cars attended the Winter Test, but the field showed the depth and variety the series offers. Some teams sent only a single car; some sent none. 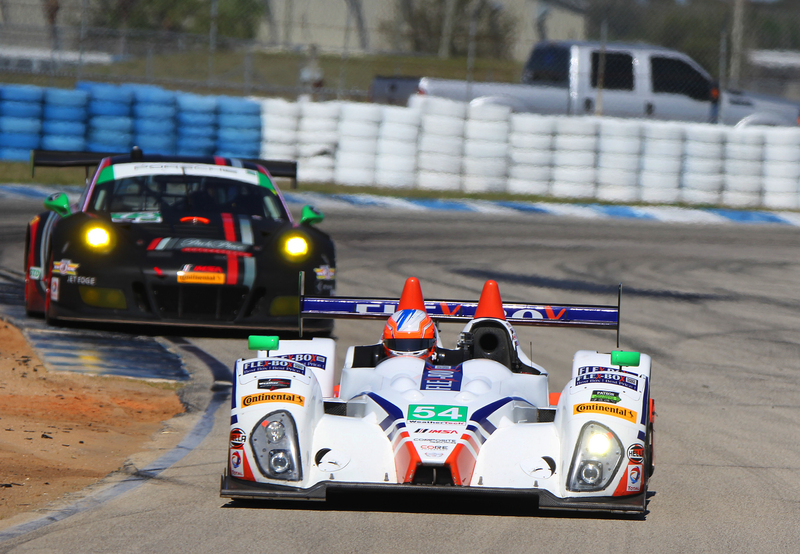 Still, every type of car which will compete at Sebring in March was represented at the test. 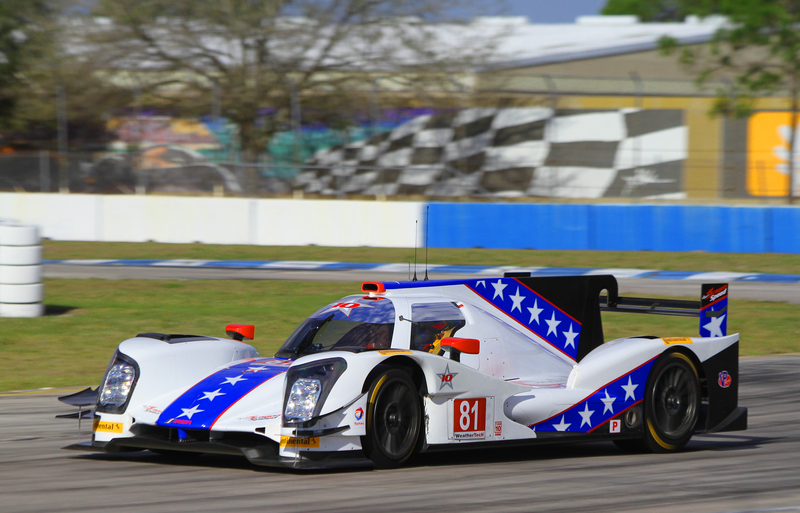 The two-day test session gave teams time to adapt to the bumpy Sebring circuit and gave the series data to tweak its Balance of Performance regulations to suit a pure road-racing track. Even though it was only a test session,. speeds were high. The fastest entries in three of the four classes beat their class’s 2015 qualifying times. Olivier Pla in the #60 Michael Shank Racing Ligier JS P2-Honda set fastest time of the two-day test, lapping the 3.74 17-turn course in 1:51.546 at 120.704 mph on Friday morning. 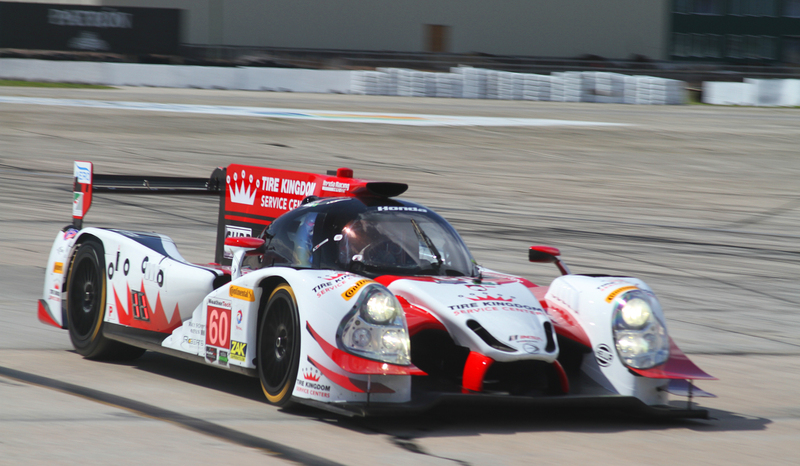 Pla is no stranger to Sebring: he won the pole for last year’s Sebring Twelve Hours in the Krohn Racing Ligier-Judd. Pla shared the driving duties with Oz Negri and John Pew at the Winter Test. the team finished seventh in the first session, and fourth in the second and fourth runs. For reference, Pla won the 2015 pole with a lap of 1:51.152. Action Express led three of the four sessions with Dane Cameron on the #31 Coyote Corvette quickest Thursday morning, and Christian Fittipaldi in the #5 Coyote-Corvette fastest Thursday and Friday afternoons and second Thursday morning. 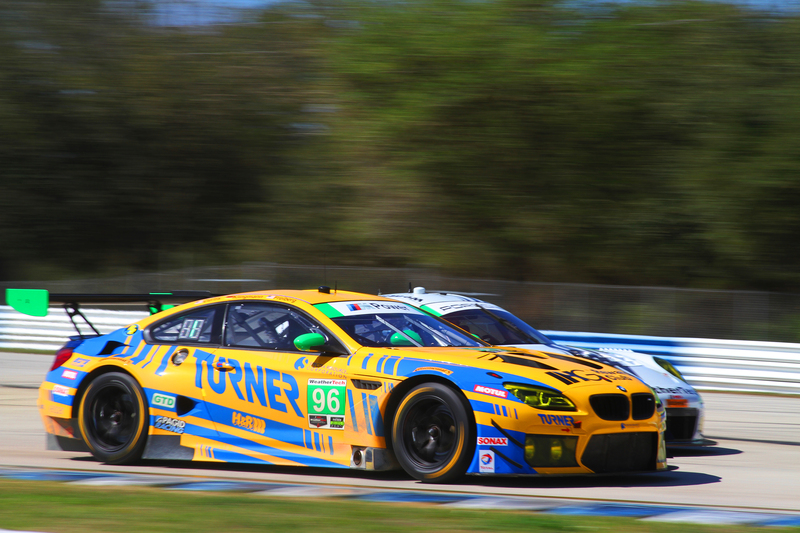 Two-time series champions, #5 Action Express drivers Fittipaldi and Joao Barbosa won the 2015 Twelve Hours of Sebring after leading almost half the race. Felipe Albuquerque will be the third driver this year, replacing Sebastien Bourdais, who has moved to the Ford Chip Ganassi Ford GT team in GTLM. The #31 AXR Coyote-Corvette, driven by Cameron, Eric Curran, and Scott Pruett, finished second in the second session, sixth and seventh in the final two. Third in the first two sessions was the 2016 Rolex 24-winning #2 Extreme Speed Motorsports Ligier-Honda driven by Scott Sharp, Ed Brown, Johannes van Overbeek, and Pipo Derani. This car scored sixth and fifth in the final two sessions. The #90 VisitFlorida Coyote-Corvette driving by Ryan Dalziel and Marc Goosens, finished third in both Friday sessions. The #10 Wayne Taylor Racing Dallara-Corvette driven by the Taylor brothers, Max Angelelli, and Rubens Barrichello and scored second in the final session. Surprisingly successful was the new #24 DragonSpeed Oreca 05 Nissan of Henrik Hedman, Nicolas Lapierre, and Nicolas Minassian, which ran second-quickest in the third sessions. The IMSA Winter test marked the first public North American outing for the car, which will contest the Twelve Hours and then head across the Atlantic to compete in the European Le Mans Series. The diversity at the top of the timesheets would seem to indicate that IMSA really has worked out the balance issues in its Prototype class. 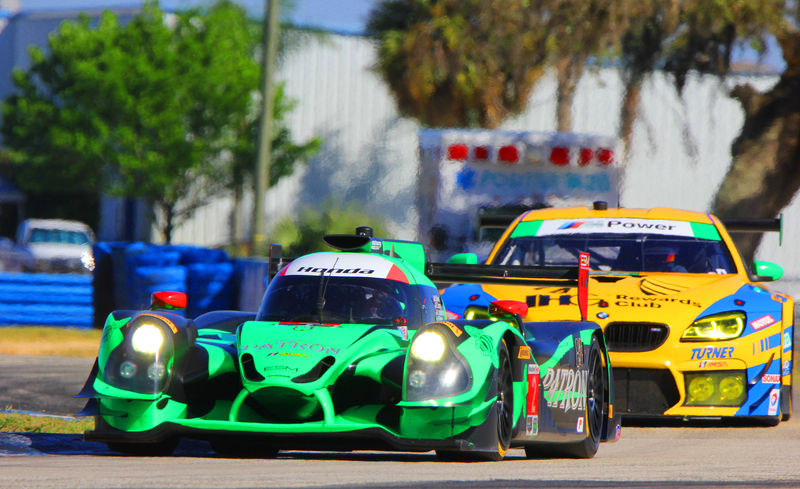 LMP2 and Daytona Prototype chassis, big V8s and turbocharged V6s, all have a fair shot at an overall win in the Twelve Hours of Sebring. This is what the fans have wanted, and the series has needed, since the series started in 2014. After starting off the season with excellent racing at the Rolex 24 at Daytona, the WeatherTech SportsCar Championship could solidify its new status as a serious racing series with a good showing at Sebring. More important, to most fans, is that Sebring’s reputation could be restored. Once one of the most important endurance races internationally, the Sebring 12 Hours lost status after the FIA left it off the World Endurance Championship schedule. With the advent of IMSA’s WeatherTech (then Tudor) Championship, which faced balance issues, as well as rules and refereeing issues—who could forget the #22 GTD WeatherTech Porsche being penalized for a foul committed by the #911 GTLM PNA Porsche, with blame eventually being placed on the #912 Porsche, despite the entire incident being clearly recorded on video?—the race lost even more stature. Fans remembered seeing the fastest cars in the world racing around Sebring, and were now forced to endure Rolex-era dinosaurs competing with hobbled second-class P2s. Last year’s race was a step in the right direction. Yellow flags were waved only as needed, not to manage competition but to provide safety. DPs swept the podium, but the P2 cars competed evenly until they broke one after another. Though attendance was down from past events, the crowd got to see a decent race. 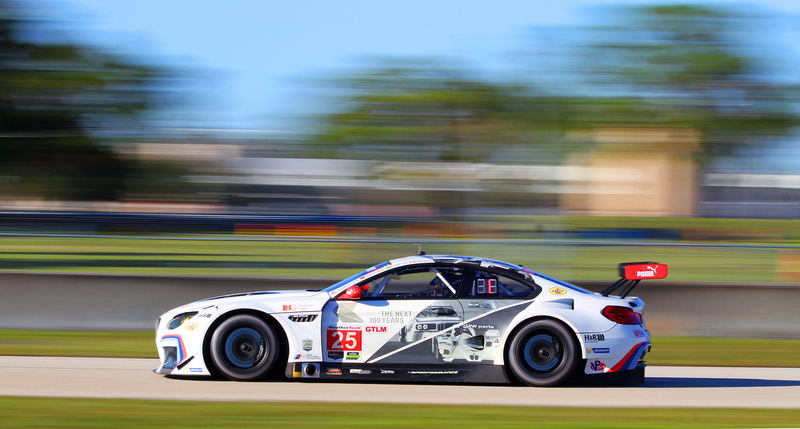 The new #25 Team RLL BMW M6 GTLMs held on as the head of its class through all four sessions of the 2016 IMSA WeatherTech Sebring Winter Test. Drivers Bill Auberlen, Dirk Werner, and John Edwards bested the #911 Porsche North America RSR of Patrick Pilet and Fred Makowiecki, and the #62 Risi Ferrari 488 GTE of Toni Vilander and Davide Rigon by a few tenths of second in each session, with the pair of Ford-Ganassi Ford GTs following. 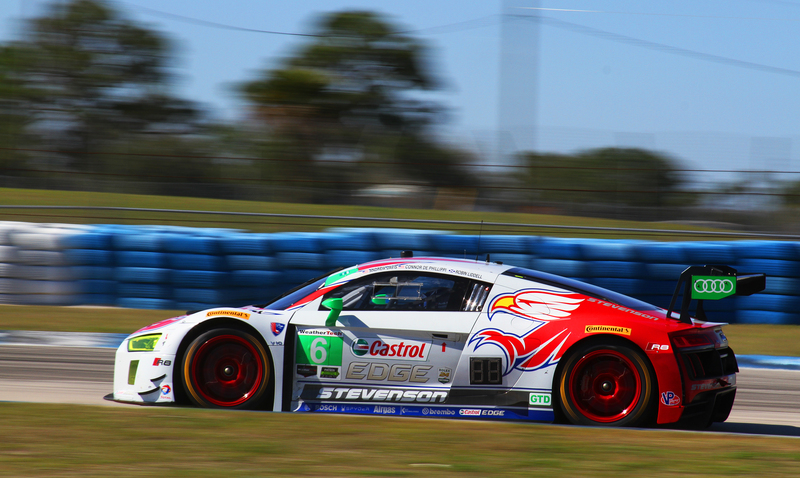 Absent from the test were the Corvette Racing C7.Rs, which would surely have fought for top honors. Also missing was the Scuderia Corse Ferrari. Still, BMW had to overcome stiff competition. After a fifth-in-class showing at the Rolex 24, the team is likely satisfied to see the car can manage the bumps and twists of Sebring so well. Dirk Werner’s Friday afternoon lap of 1:58.705 at 113.424 was quickest of the test. Fred Makowiecki took the pole for Porsche in 2015 with a lap of 1:58.587. 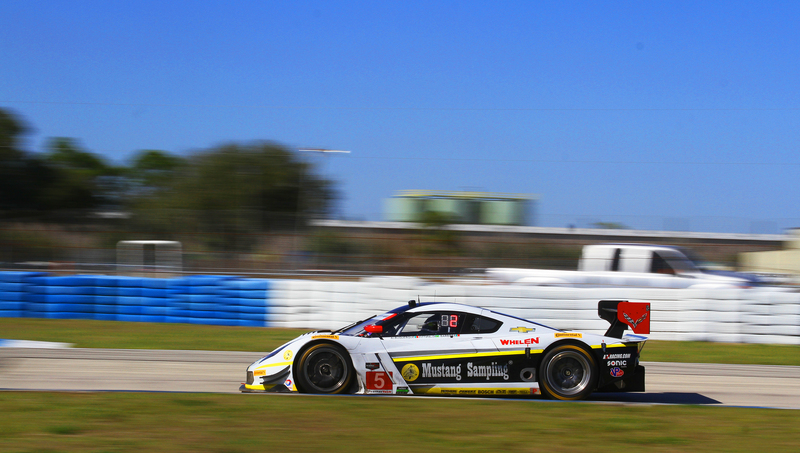 A new GTLM track record is not unlikely. The GT Daytona class was a free-for-all, as it should be. With a tremendous variety of cars—seven cars from six manufacturers—GTD is often the most hotly contested class in the series. Porsche could be said to have fared best, with a pair of its 911 GT3 Rs topping a session, but Ferrari and Audi each scored a fast lap as well. generally the top dozen or so cars in the class were within a second of the leader, and in every session at least the top five were within half a second. Lawson Aschenbach in the #9 Stevenson Motorsports Audi R8 LM GT3 was quickest Thursday morning. Patrick Lindsey in the #73 Park Place Porsche took the honors in the afternoon. Alessandro Balzan scored one for Ferrari, being quickest Friday morning in the #63 Scuderia Corse 488-GTD. 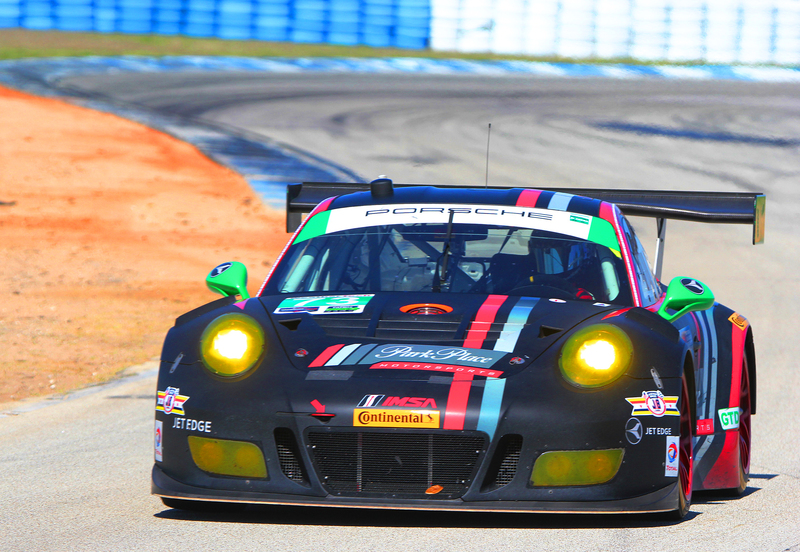 Nicky Catsburg in the #540 Black Swan Racing Porsche GT3 R topped the final Friday session. Balzan set the fastest lap of the test, 2:01.342 at 110.959 mph, raising the possibility of a GTD car breaking two minutes in qualifying. Jeroen Bleekemolen captured the 2015 GTD pole in the Riley Motorsports Dodge Viper with a lap of 2:03.485. obviously that mark will be obliterated come qualifying in March. Though only half the Prototype Challenge field showed up for the Winter Test, the four that did show: Core, Bar1, PR1-Mathiesen, and JDC-Miller, were not taking it easy. Core Autosport’s Colin Braun set the fastest time in each of the four sessions. His quickest lap, on Thursday afternoon, was a1:53.888 at 118.221 mph. Bar1 took the pole at the 2015 Twelve Hours with a lap of 1:55.257. The PC Orecas have had their power increased as part of a rejuvenation which includes a lighter engine and updated electronics including traction control. While the more powerful engines proved to be too much for the starter motors at the Rolex 24, when the cars are running, the added power helps keep them out of the way of the GTLM cars—and in racing, faster is generally better. 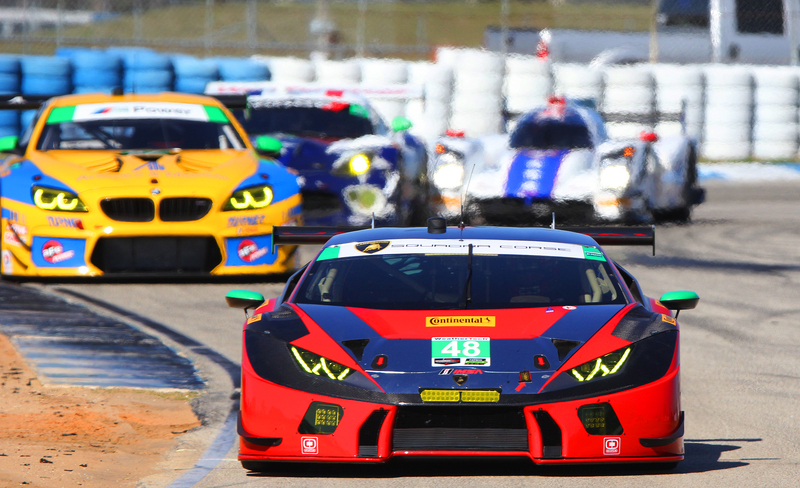 The Mobil 1 Twelve Hours of Sebring Fueled by Fresh From Florida weekend actually begins on Wednesday, March 16 with practice for the support series as well as the Continental Tire Sports Car Challenge teams. The race starts at 10:40 a.m. on Saturday, March 19. 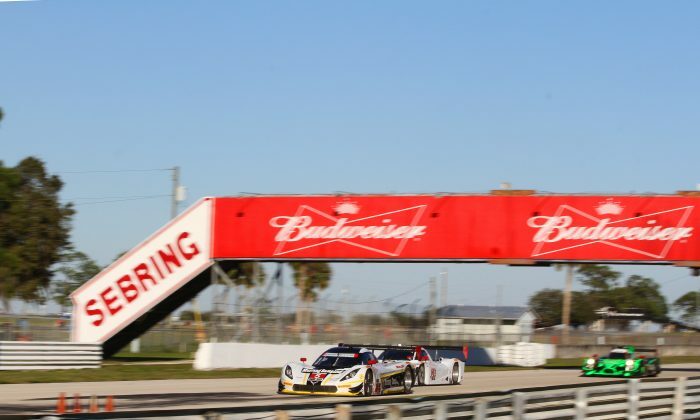 The Mobil 1 Twelve Hours of Sebring Fueled by Fresh From Florida weekend begins on Wednesday, March 16 with practice for the support series as well as the Continental Tire Sports Car Challenge teams. The WeatherTech Sports car Championship cars take to theh track Thursday morning, with qualifying Friday afternoon. The race starts at 10:40 a.m. on Saturday, March 19. 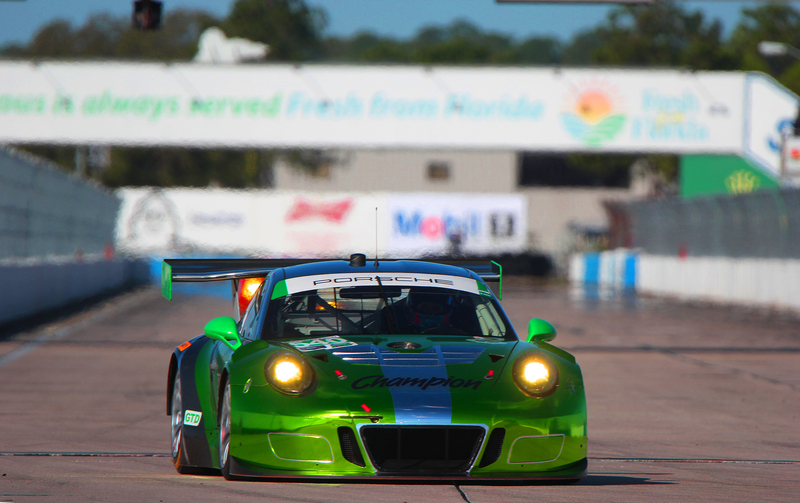 Visit the Sebring Raceway website for tickets and information.